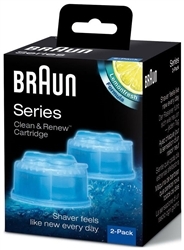 Braun CCR2 Cleaner Refills for Pulsonic, 360 Complete, Activator, Syncro, Contour and Flex XP Shavers. Braun has refined the act of shaving through expert engineering and a steely-eyed focus on detail. German engineering applied to the electric shaver has brought forth some of the most superior shaver designs on the market today. Among the better of these innovations has been the Braun Clean and Charge system. The development of a charging stand that doubles as an automated cleaning center was a giant step forward in electric shaver design. A razor that cleans itself is always ahead of the game, and ready to give a superior shave every time. A clean shaver always gives a better performance. 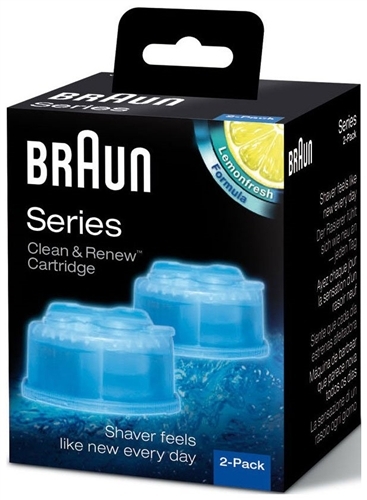 Use Braun CCR2 cleaner refills to keep your Pulsonic, Activator, 360 Complete, Contour, Syncro or Flex XP shaver running at maximum efficiency. Formulated with alcohol and a light lubricant, this special cleaning formula ensures maximum hygiene and performance for your Braun razor. It is important to remember, after a time (typically 4 to 8 weeks), your cleaner solution becomes saturated with stubble and debris, reducing its usefulness dramatically. 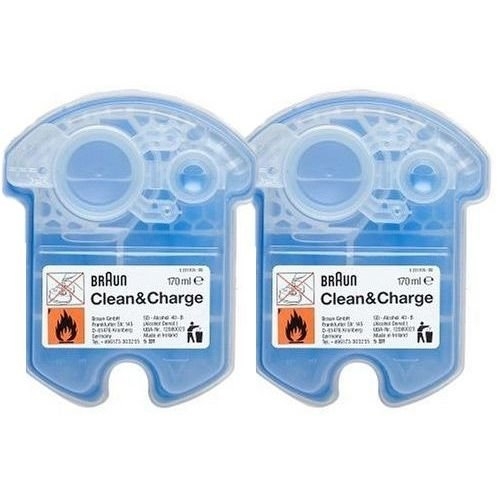 These is a clear indication that it is time to replace your cartridge with a genuine Braun CCR2 cleaner refill. Pulsonic models 790-1, 9595, 9585, 9795, 5671, 760-1, 9585, 9785, 5673. 360 Complete models 8970, 8975, 8985, 8986, 8987, 8990, 8991, 8995, 5646, 5647, 5649. Activator models 8595, 8795, 8581, 8583, 8585, 8781, 8783, 5643, 5645. Syncro models 7790, 7785, 7765, 7690, 7680, 7664, 7650, 7640, 7630, 7570, 7564, 7546, 5491, 5492, 5493, 5494. Flex XP models 5441, 5442, 5691, 5790, 5791, 5795, 5796.